Some Baldwin County municipalities are claiming acres of new territory, as several petitions for annexation have recently been approved by the Baldwin County Commission. Of the 15 annexations approved in the past year, six have been into the city of Fairhope. Some of those are minor. Todd Roberts filed for annexation in July 2017 to bring his house and 1-acre property off State Route 181 into the city. Shortly thereafter, Deborah Jean Jiles filed a petition for annexation on her half-acre property off South Ingleside Avenue, which included two mobile homes and eight residents. Last week, Jiles said she wanted access to city services, including trash pickup, planning and zoning, and ditch maintenance. But other petitions are much larger, and although some of the properties are currently undeveloped, many have been approved for significant new residential subdivisions. It began with 1.5 acres of property known as Camellia at the Colony annexed into the city last summer. 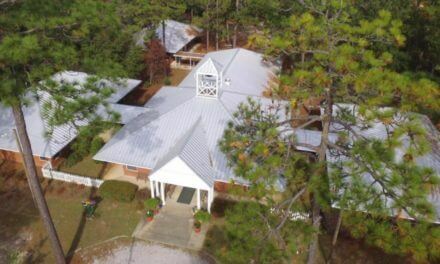 Owned by the Retirement Systems of Alabama, the property is zoned Tourist District and comprises seven lots. In August, the city took in 6.27 acres at the Village at Firethorne, which is zoned PUD and accommodates 20 residential lots. In October, the city annexed a 26-acre parcel of former farmland just off State Route 181, where LA Development is expected to construct as many as 72 houses in the Twin Beech Estates PUD. In December, Fairhope annexed 7.42 acres on County Road 34, a subdivision known as Pinewood Phase 2, which is subdivided into 18 lots. In its first annexation this year, the city added two separate parcels off Gayfer Road Extension — one 31.9 acres and the other 22 acres. The applicant was the The Bills, LLC, which proposes to build two separate subdivisions with a total of 71 lots. Things kept moving along in February, when the city adopted two ordinances for annexation from developer A.I. Corte, who is seeking to build 81-lot and 31-lot subdivisions off State Route 104 just east of County Road 13 in a development known as North Hills of Fairhope. Now RSA wants to up the ante, submitting a petition for annexation for 99.15 acres zoned Tourist Resort at the Colony at the Grand, where they are proposing an additional 224 single-family residential homes. The petition received a favorable recommendation from the Fairhope Planning Commission April 1, and it is expected to be considered by the City Council within weeks. At the Planning Commission’s public hearing on the application March 12, several neighboring property owners expressed concerns, including the development’s impact on traffic, stormwater drainage and property values, while also complaining about a perceived lack of notification. The Colony at the Grand borders the traditionally black neighborhood of Tatumville, where residents have resisted annexation into the city for years. Fairhope Planning Director Wayne Dyess, who is leaving the city to assume his new role of Baldwin County administrator April 15, said there is no official policy or strategy in Fairhope to encourage annexations, but during his 2-year tenure it’s been more of a priority. Dyess explained those effects are offset with impact fees. The tradeoff for developers, he said, is higher property values and access to cheaper utilities, more convenient services and city amenities. Often, Dyess said, developers will request an annexation conditioned on a certain zoning designation. Such was the case at the Colony at the Grand, which is zoned Tourist District. Tourist Districts allow for condos, hotels and more dense development, but Dyess said RSA has pledged to build only single-family homes on the 99 acres subject to annexation. Dyess also said he believes annexations will be more clearly outlined in a forthcoming comprehensive plan Mayor Karin Wilson intends to complete using RESTORE Act funding. Elsewhere in the county, Elberta annexed a couple of residential lots in December and Foley added property zoned for business and light industry in October and February, respectively. Summerdale annexed an 18.35-acre parcel zoned R1 in January. Three separate petitions for annexation have been approved this year in the town of Loxley for properties near Interstate 10 and the Foley Beach Express, including Buc-ee’s. As part of the Buc-ee’s annexation, Loxley offered the Texas-based company 20 years’ worth of tax breaks on local sales and fuel taxes. This city of Daphne gained 361 acres this year off State Route 181 and Austin Road, part of a project known as Jubilee Acres. 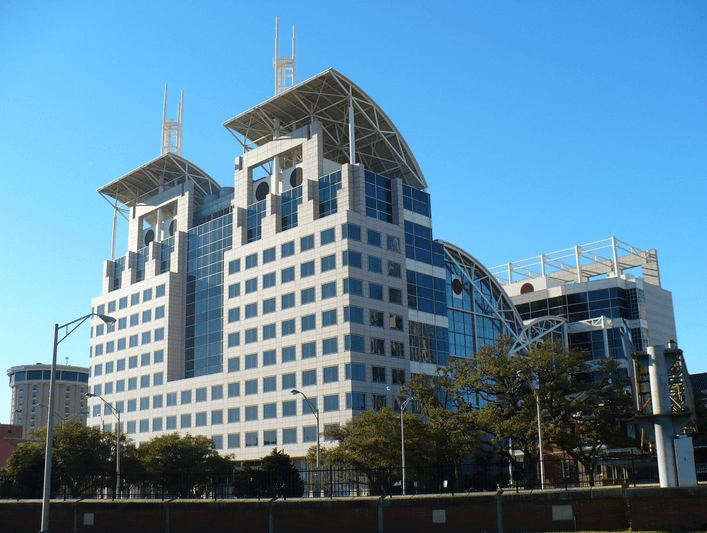 Its petition for annexation was approved by the city in January 2018 but in June, owner Bertolla Properties, LLC, sold the property to Forestar (USA) Real Estate Group of Atlanta for $9.5 million. The same day, Forestar entered into a mortgage with home builder DR Horton as part of a lot purchase agreement. There, previous owner Fred Corte transferred the property to DR Horton on Oct. 12, 2017, four days before the Daphne City Council approved a petition for annexation signed by Corte. The deed wasn’t recorded in the probate office until Oct. 26, 2017. Troy Strunk, director of city development, said while Daphne does not benefit from impact fees, he said its incentive for annexation is the expanded tax base.